Returning to the Peninsula has transformed the artwork of Barbara Furbush whose impressions have continually invoked the human presence. Dwelling high on the Monterey Bay invites engagement with the protean dance of sky and water. Barbara’s images are atmospheric - inspired by Rothko, more than Constable or David. With both cloud and body images, it is the ephemeral that she chases in her prints with ink veils layered on paper or in using experimental materials such as clay pressed into sheer cloth. 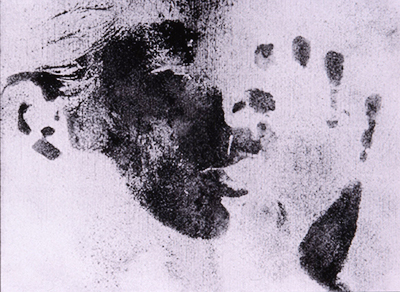 Barbara stretches the boundaries of printmaking into installation and participatory works.The evolution of ideas into these more encompassing works was a spontaneous growth from her investigation of body-printing and the psychological implications of those shadow-forms in an inhabited space. Her works often encourage participation of observers by setting up materials and instructions as artworks to be played out for the duration of an exhibition. These works often seem childlike but create moments of deep self-reflection. The themes of the works explore the truths we have learned, the way we hear things, our feelings about intense topics, and how we see ourselves.